Kimganae Korean Restaurant – Korean Sushi!?!? 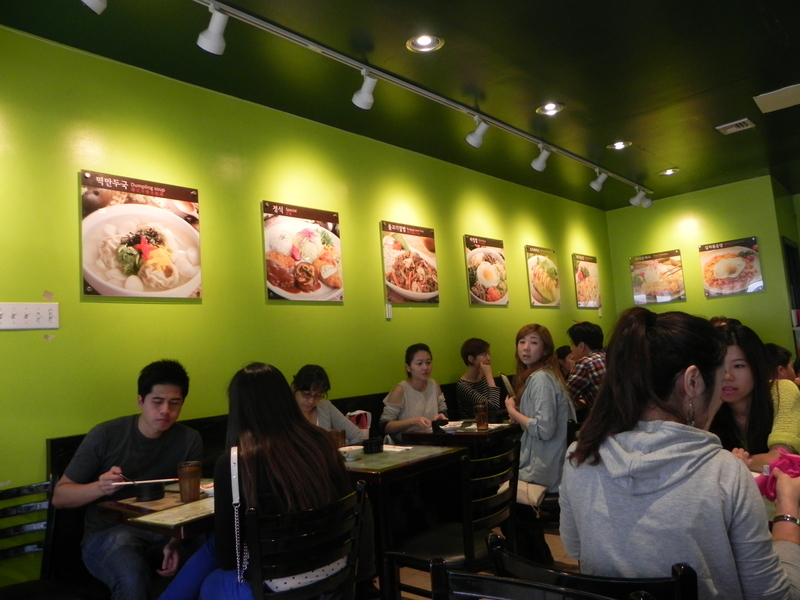 In Flushing, you will find a variety of Asian restaurants – Vietnamese, Chinese, Korean, and maybe even Japanese. 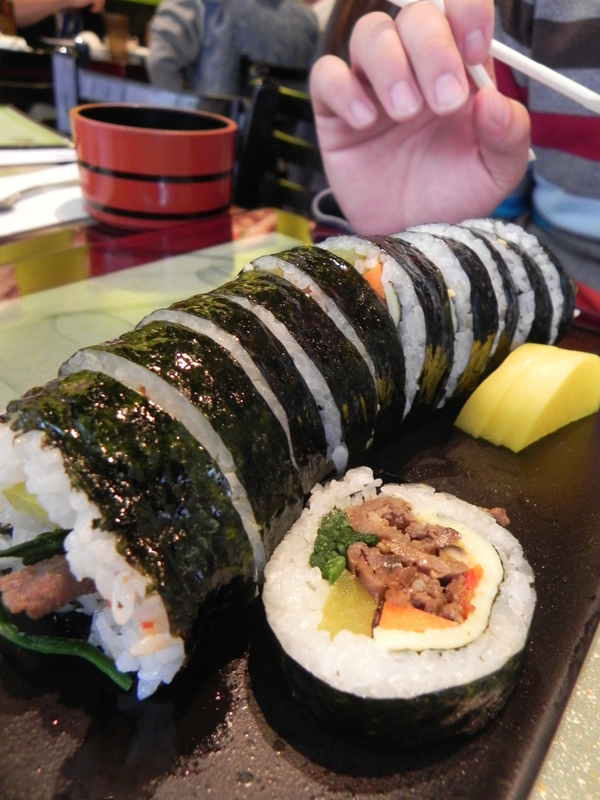 We went to check out Kim Ga Nae Korean Restaurant located in Downtown to get some Kimbap. 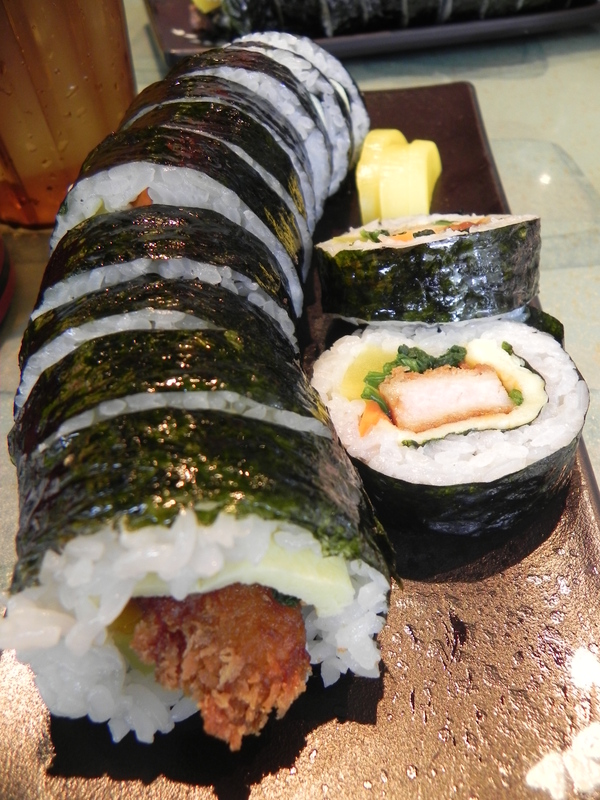 Gimbap is derived from Japanese futomaki (Makizushi) during the Japanese rule (1910-1945). but now has certain distinctive elements not found in Japanese-style makizushi. Whereas the essence of Japanese sushi is vinegared rice, gimbap does not use rice vinegar but rather sesame oil. Little note: It may be difficult to find parking around here 😛 and it is a cash only restaurant! I will have to start off that I am completely biased for this place because I’ve been here numerous times. The food is always fresh and always comes really quickly. The kimbap is so cheap and the wait staff are incredibly nice. They always let my party and I stay more than the normal duration… Usually I don’t stay on purpose, but there was no pressure to quickly eat and leave. It always feels like I’m visiting someone’s house when I visit here. When I catch up with friends and want to only spend the minimal for a quick lunch, I just come here! They even let you refill for the complementary miso soup and kimchi! I usually have the spicy tuna roll, but since Victor doesn’t eat fish, this time I ordered the Don Katsu Roll. If you haven’t had Katsu before, it’s kind of a fried pork chop! It was pretty tasty and very filling. So filling for only $5! The teriyaki sauce was a nice touch and the meat pieces weren’t overwhelmingly huge for the size of the roll. The spicy tuna roll is even cheaper, being $4.50! I enjoy their freshness and fragrance of the sesame oil. Kimbap is definitely a first for me. When my mom use to make sushi at home, she would use to make a separate roll with dried shredded pork. I suppose, I guess that’s similar enough to kimbap. Even though it’s an decent sized restaurant, you may have wait half an hour just to get seated. Another option is taking it to go. As noted before, it’s also difficult to find parking around here, so good luck! So this is my first time I had real kimbap.. and it’s pretty good. For about $5, you can fill yourself on these rolls are densely packed. I ordered the spicy beef roll and it was quite delicious. You’d be surprise how full you can just eat from eating a single roll. It’s sorta sweet from the vegetables and also flavorful from the beef. I would definitely like to try out their rice dishes if I do come here again. The waiter we had was incredibly kind. We were actually waiting to meet up with some other people, but they weren’t able to find parking. The waiter didn’t ask us to get up and move or even rush us. He accommodated to us the whole time while we were eating. If I do come again, I’d actually like to sit and try to enjoy my food as I eat. I was eating quickly because I felt bad taking two extra seats in the restaurant. Overall, this is a nice place with a home-y feel to it. Staff is great. Food is great. Check it out if you’re in Flushing and if you want something else than Korean BBQ, Sushi, or Dim Sum. Posted on September 25, 2013 by pinkytwinkieeePosted in New York, queensTagged asian, beef, cheap, chicken, chill, crowded, delicious, dinner, downtown flushing, favorite, flushing, food, great service, hang out, homey, kimbap, korean, love, lunch, main street, miso soup, popular, restaurant, restaurants, rice, rolls, seaweed, shout-out, spicy, spicy tuna roll, take-out, tuna, union street, waiter. Previous Previous post: Caffeine Fix: Giving Up Taste for Presentation?